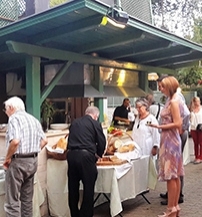 Remíz is an internationally acclaimed gourmet restaurant, where loyal guests return frequently to enjoy the warm hospitality and high quality Hungarian food provided by its legendary owner, Alice Meződi, and her Executive Chef, Gyula Madarász. The menu is in six languages to accommodate international guests. With several dining rooms and a wonderful outdoor terrace, Remíz can provide intimate dinners for two or host private parties for special occasions. 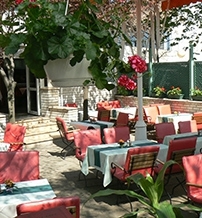 Remíz offers a delightful menu that offers monthly specials. They have made an effort to incorporate healthy choices into the menu. From May to September, grilled dishes are cooked outdoors over lava stones, and a new lave grill has been installed in the kitchen so that guests can have some of their favorites all year long. All the cakes are baked on the premises and they feature a selection of sugar-free pastries that will delight anyone who has dietary restrictions as well as those who just want to eat less sugar. 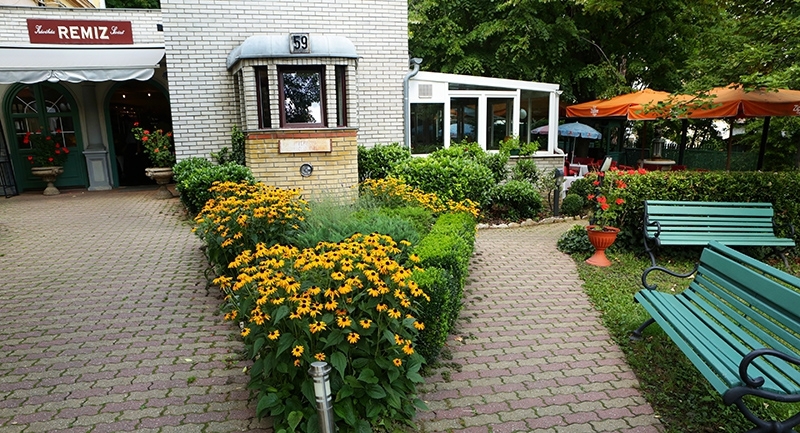 An extensive wine list is available, featuring many of Hungary’s best vintages.